This morning, we had our pre-moving yard sale. We had a bunch of stuff and most of it sold, thankfully. 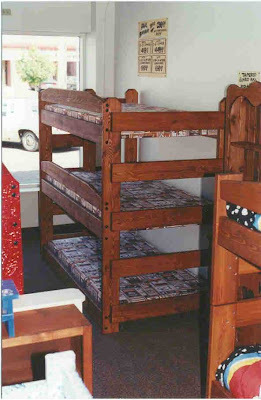 One of the items for sale was the boys’ Triple Bunkbed. When we lived in a parsonage in Charleston and space was at a premium, we found a gentleman who made bunkbeds in nearby Goose Creek. It was made of solid wood and we spent most of a Saturday putting it together; I think I know where all the wood from Noah’s Ark went! That thing was sturdy. It was real fun watching the movers disassemble it and carry it up the stairs at the parsonage at Rock Hill and reassemble it. When I saw it today, the memories of the boys using that bed came flooding back. They were much younger then, and we stacked them in that bunk like a cord of wood. They put their names on the bunk (in permanent ink--- which I saw again today) and we installed shelves on the end for each of them. I remember telling them nightly bedtime stories as they all three got in their places. 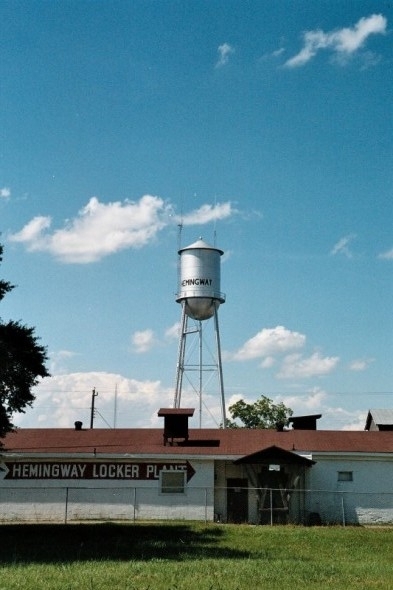 We sold the bunk to a young couple with three kids under seven years old. It felt good that someone who would get some use out of it was able to get it at a very good price. The memories of my family’s time with that bunk, however, are priceless. I also got to experience a new memory that brought back very old memories for me. My youngest son, LPCoolJ, enjoyed the yard sale. He enjoyed talking with people, haggling with them, and trying to convince them that they really needed to buy “this special homemade bubblegum machine.” He finally sold it. I enjoyed watching him this morning working for a sale. LPCoolJ and his Yard Sale adventures reminded me of my brother Eric. Eric could sell ice to Eskimos and he enjoyed it all the while. As I saw LPCoolJ work the yard, I remember Eric haggling over prices with the guy at the clothing shop when he was about my youngest son’s age. It has been a year this month since Eric died, and I still think about him everyday. Today was another happy memory of Eric lived out in the next generation as LPCoolJ discovered the flexible price below the number on the sticker.